While prisons may be structured in such a way that suggests an attempt to, they cannot take away the humanity of human beings that have been imprisoned. They grow, and they change. They want to see and spend time with their children, and their families. They don't want to die alone. Most importantly... they have faces, voices, histories; and they long to tell their stories. Below is a very powerful 'TED Talk', filmed in November 2014, at Muncy State Prison. As many of you all know, this is the second day of Kwanzaa, the cultural celebration that seeks to honor the best of what it means to be African, specifically through a ritual process of remembering and reflecting on who we have been, who we are, and who we must still become. This is done more concretely through our reflection on The Nguzo Saba (the seven core principles), one daily from December 26th through January 1st. 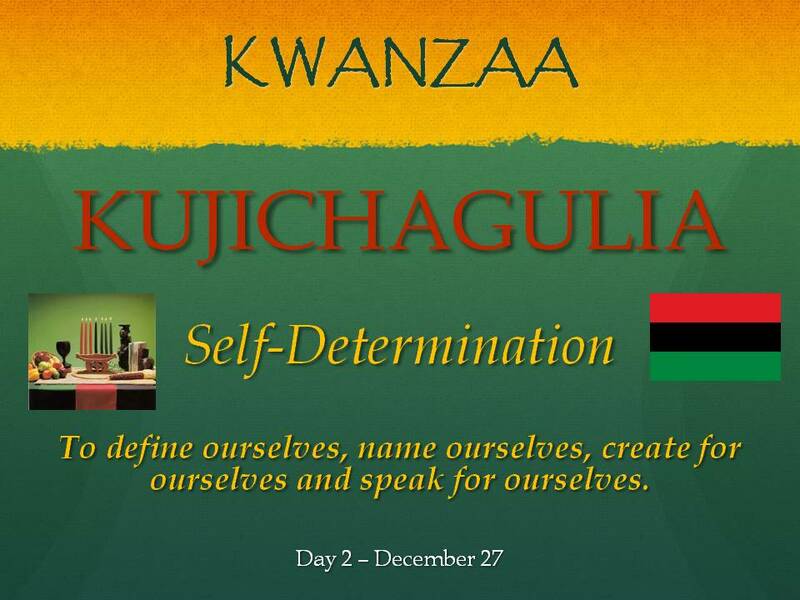 The second principle is Kujichagulia, a Swahili word meaning self-determination. Within this context, self-determination refers to the responsibility and obligation of African people throughout the diaspora to define ourselves, name ourselves, create for ourselves and speak for ourselves. In recognition of Kujichagulia, I'm sharing a short biographical video tribute (approximately 10 min.) to our great ancestor, Dr. Carter G. Woodson. Woodson's example highlights the importance of African people doing the work to tell our own story - to define ourselves - on our terms and through our own historical and cultural lens.